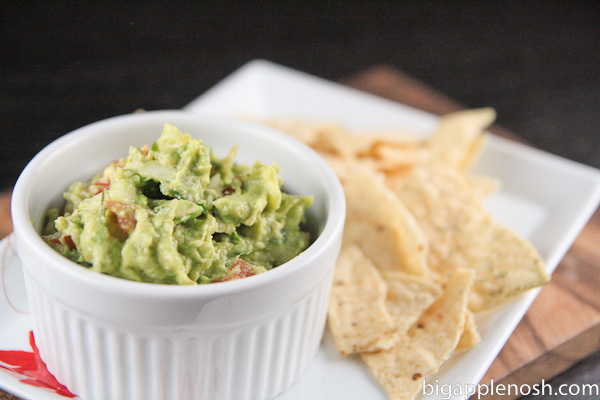 Check out my guacamole recipe post! Today is National Chip and Dip Day. What’s your favorite dip? Mine is cheezy dip or guacamole! Yum, guacamole — my squeeze’s favorite! I’m a hummus girl, myself, though my favorite non-dip to use with chips is cottage cheese. Oh boy oh boy do I love cottage cheese and potato chips! Have a great weekend! My family used to love sour cream and onion potato chips dipped in plain yogurt. Weird? Probably, but it’s really good! Love guacamole, taco dip, and cheesy chicken dip! I wanted to stop by and say hello. Hope you are doing well and that you had a fab weekend! What a coincidence – I literally just finished a meal composed entirely of dips – a Turkish mezze platter, with babaganoush, the fish egg thingie, and two types of eggplant salad. now going back for a single-serve guac pack.